Arlington Capital Partners announced its strategic investment in Octo Consulting Group on Thursday. Octo develops solutions for federal government clients in health care, national security, civilian and defense agencies. The company’s expertise with Agile software development, UI/UX, cloud, infrastructure, blockchain and other emerging technologies enable agencies to modernize their infrastructure. Octo named Jay Shah as the company’s new chief operating officer, succeeding Robert McCord. 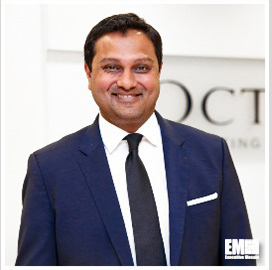 Shah served as the executive vice president of Octo’s health business unit. Pamela Rothka was recruited to become chief financial officer for Octo. She was the CFO for Buchanan and Edwards since 2015. She also served Whitney, Bradley and Brown, Hewlett-Packard and Lockheed Martin in various financial leadership roles. Rothka brings federal contracting, M and A, and financial strategy experience within disciplined financial organizations to Octo.